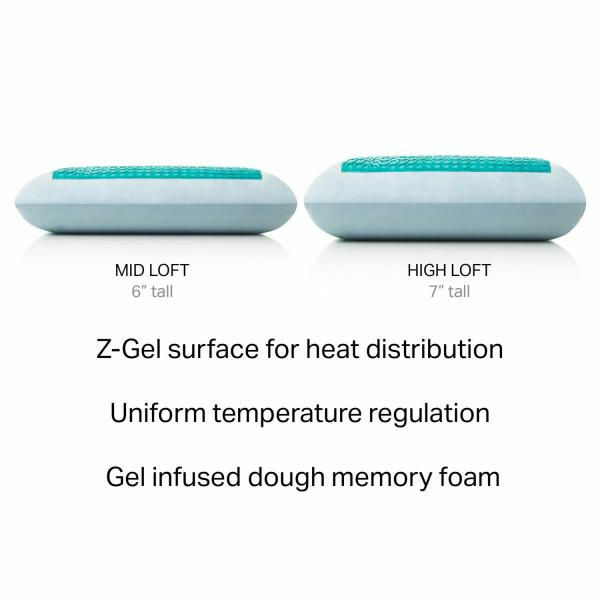 Z-Gel Infused Dough™ Memory Foam’s exclusive formulation makes it the softest, doughiest and coolest memory foam that is both comfortable and therapeutic. With the addition of liquid Z-Gel that captures and distributes heat, this pillow provides the best temperature regulation available. The unique consistency offers immediate support and quick recovery. The open cell technology will prevent the pillow from flattening over time and also promotes superior air circulation for superior heat transference. The pillow is naturally hypoallergenic, antimicrobial and dust mite resistant. This pillow features a removable velour cover and a five-year warranty.